fun features: As with all of Jamie's books - PERSONALITY. Gorgeous photos on plates and dishes that I sorely want. Vivid photos (people and places, not just food) throughout, as well as plenty of Jamie-speak. And come on, if you love Jamie, you love Jamie-speak. Catching titles. Fun, intriguing introductions to both chapters and individual recipes. 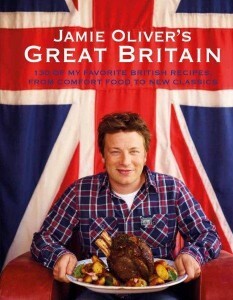 my thoughts/review: Well, to be fair, I've been a HUGE Jamie Oliver fan for years. I've cooked tons of his stuff and enjoyed the vast majority of it. So, I was probably a bit biased going in. But that said - I love this book. It is typical Jamie. Chock-full of delicious recipes with tempting photographs. Funny side bars and colorful pages. Sturdy cover and hefty paper. The recipes I've made so far were spot on. I love it. And I can't wait to cook more from it! 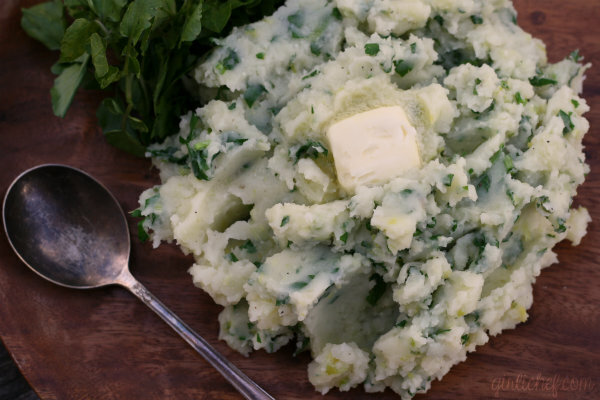 Irish Champ - All the comfort of mashed potatoes with the addition of milk that's been infused with leeks and onions and then stirred together with watercress and parsley. Deeelicious. 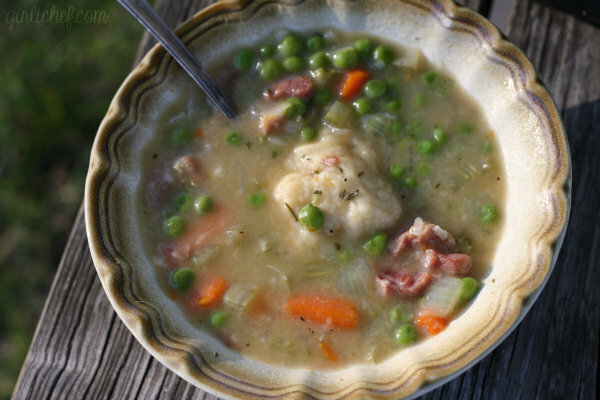 Humble Ham and Pea Soup w/ Fluffy Little Dumplings - Comforting and perfect for enjoying in the chilly air that's been hanging around lately. 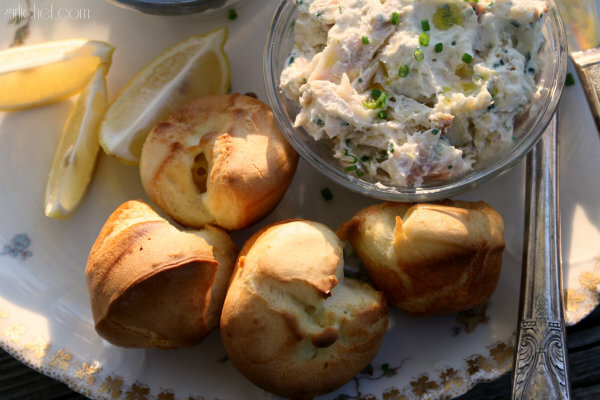 Baby Yorkshire Puds w/ Creamy Smoked Trout & Horseradish Paté (this one's getting a post all of its own, so watch for recipe to come) - Seriously? I may have found a new addiction with this one. Creamy and smoky and deliciously addictive. That's what this "paté" is all about. And come one, who can resist little baby Yorkshire Puddings? Not I. I ate a whole bunch for breakfast. And I loved it.